are PE foams with a closed surface. PE Foam is the safe packaging protection, especially for sensitive surfaces. Because the surfaces of the packaged goods are thus perfectly protected against damage. PE foam film is CFC free. PE foam is recyclable like all PE films. PE foam film retains its protective properties even in high humidity or exposure to water. 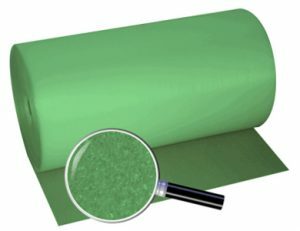 The PE foam film does not shift on smooth surfaces even with heavy transport loads. PE -sie adapts to any packaged goods. This simplifies handling and shortens the packing times.